The latest in the She Bold Styled Stock Library are for my finance and business ladies. You are going to love this new collection filled with cool tones and purple and pink vibes! Add some luxury into your brand! The collection features images in horizontal layouts perfect for website banners, Facebook and twitter covers. As well as vertical images for all of your Pinterest needs! With tons of iPad, iMac, and iPhone mockups to choose from! The entire collection goes together beautifully so that you can take the guess work out of building a brand you’ll love. You can even take images from different collections to create your brand too! 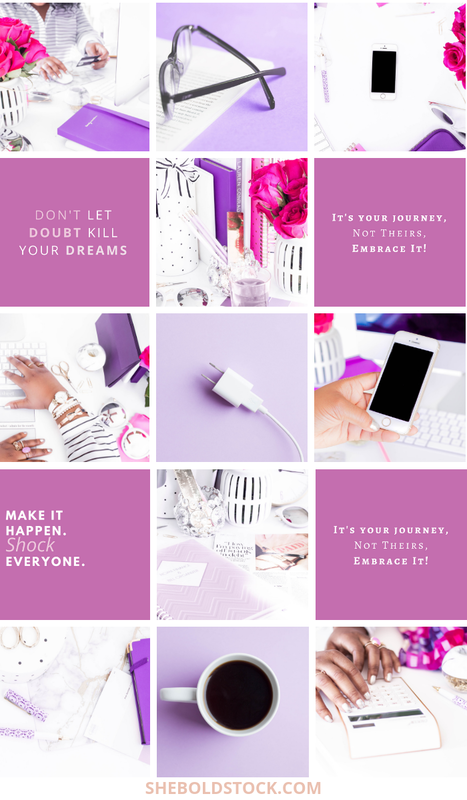 See how I did below with my Purple Branding Kit with (photos and graphics) and this collection! She Bold Stock Members get instant access and unlimited downloads to over 1500 images and graphics in the library!